Obesity may be masking other health problems such as height deficit, or stunting. 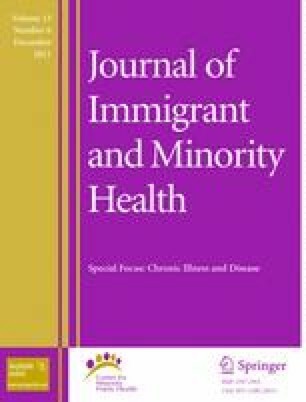 Stunting may reflect the cumulative effect of chronic malnutrition especially in underserved immigrant communities. Exploratory analysis of a sample of children 2–19 years old from the 2007–2008 NHANES was used to assess the relationship between chronic malnutrition and overweight/obesity in Hispanic children. Overall, overweight/obesity prevalence was nearly 1 in 3 children and stunting prevalence was 3.1%. The prevalence of stunting varied significantly across race/ethnicity, with prevalence among Hispanics of 6.6%. Prevalence of stunting varied significantly by socio-economic characteristics within the Hispanic population. Our exploratory study showed differences in the prevalence of stunting across racial/ethnic groups and highlighted that overweight/obese Hispanic children have a higher prevalence of stunting compared with Non-Hispanic White overweight/obese children. More studies are needed to better understand the phenomenon and the implications for health inequities. This exploratory study was funded by a seed grant from the University of New Mexico, School of Medicine, Resource Allocation Committee (RAC) and was supported in part by the Dedicated Health Research Funds from the University of New Mexico School of Medicine. We thank the RAC for their support of our research. The authors would like to thank Dr. Betty Skipper for her invaluable comments during the preparation of the manuscript. Centers for Disease Control and Prevention. The childhood obesity epidemic: threats and opportunities. 2010. http://www.cdc.gov/about/grand-rounds/archives/2010/06-June.htm. Centers for Disease Control and Prevention. National Center for Health Statistics. National Health and Nutrition Examination Survey 2007–2008. Inter-university Consortium for Political and Social Research. Ann Arbor, MI. 2010. http://www.icpsr.umich.edu/icpsrweb/ICPSR/studies/25505/detail#methodology. Kucsmarski RJ, Ogden CL, Guo SS, Grummer-Strawn LM, Flegal KM, Mei Z, Wei R, Curtin LR, Roche AF, Johnson CL. 2000 CDC growth charts for the United States: methods and development. Vital Health Stat. 2002; 246(1): 1–190. http://www.cdc.gov/nchs/data/series/sr_11/sr11_246.pdf. US Department of Agriculture. Economic Research Service. Food Security in the United States: Household Survey Tools. 2010 (http://www.ers.usda.gov/briefing/foodsecurity/surveytools.htm). Pew Hispanic Center. Mexican Immigrants in the United States, 2008. http://pewhispanic.org/files/factsheets/47.pdf. Levi J, Vinter S, Richardson L, St. Laurent R, Segal L. F as in fat. how obesity policies are failing in America. Washington, DC: Trust for America’s Health; 2009. http://www.healthyamerican.org.